Last summer 10th Special Forces Group Sgt. First Class Nathan Weber was doing 40-yard sprints in the Afghan desert when his base’s C-RAM began to fire aggressively at an incoming mortar — about 75 meters above Weber’s head. “I start getting sprinkled with little bits of the mortar that just got shot out of the sky,” the 31-year-old Green Beret said in an official DoD video interview in September. Weber had the thought: I should probably do stand up against the wall. After all, Weber had an winter Olympic bobsled team to qualify for. On Sunday, Weber’s training — which occurred all over the world through multiple deployments — paid off as the U.S. Olympic Committee announced him as one of 12 athletes who will comprise the men’s bobsled teams at PyeongChang, South Korea, in the Olympic Games next month. Four total Army or Army National Guard service members were named to the 2018 bobsled team. The Army athletes will also be piloting two of the three U.S. bobsleds competing in the games, the committee announced. Three-time Olympic veteran Sgt. Justin Olsen, 30, is a member of the New York National Guard and a member of the Army’s World Class Athlete Program. He is making his debut as a bobsled pilot in the 2018 games. Olsen competed in the 2010 Vancouver Olympics, winning gold as part of a four-man bobsled. He qualified again and competed in the 2014 Sochi Olympics, finishing 12th. Sgt. Nick Cunningham, 32, is piloting the second of three U.S. bobsleds that will compete at PyeongChang. Cunningham is also a member of the New York National Guard and a member of the Army’s World Class Athlete Program. He also competed at both Vancouver and Sochi, finishing 12th in the 2014 Sochi competition. Sochi bobsled team bronze-medal-winner Army Capt. Chris Fogt, 34, is back for his third Olympics. Fogt is also a member of the World Class Athlete Program. This trio will head to South Korea in February. 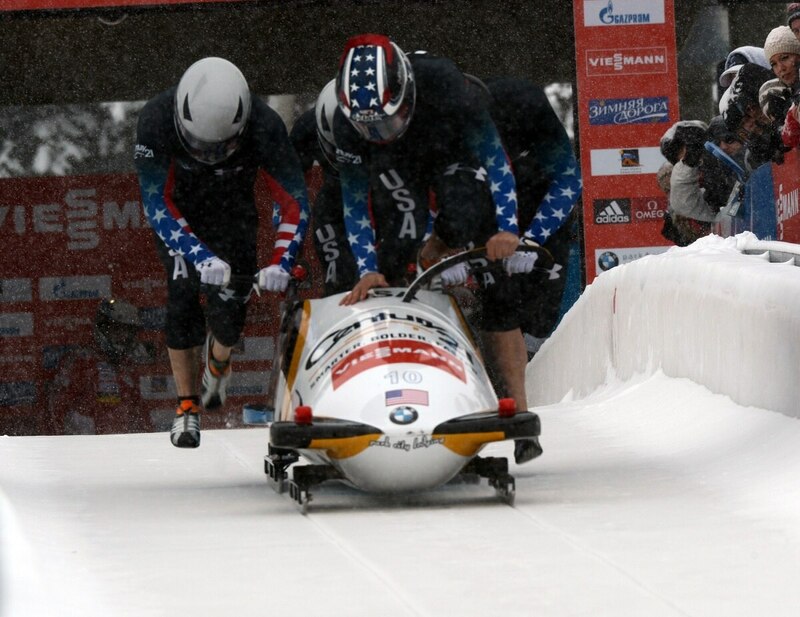 The bobsledders join three Army sergeants who were named last month to the USA luge team. Two more Army competitors, Spc. Travis Cooper and Pvt. Cody Johnson will find out next week if they have qualified for the U.S. Olympic biathlon team.